With the new Finnair SkyWheel another new attraction came to Helsinki: Allas. 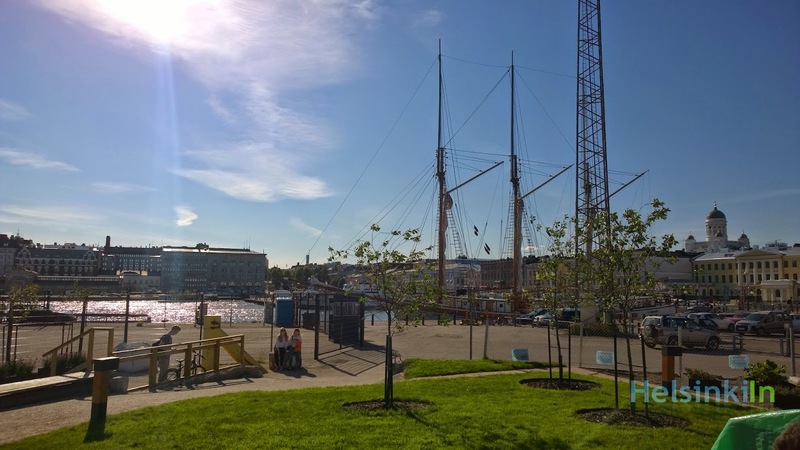 The terrace is located right next to the wheel and makes Katajanokka a more attractive place to visit. 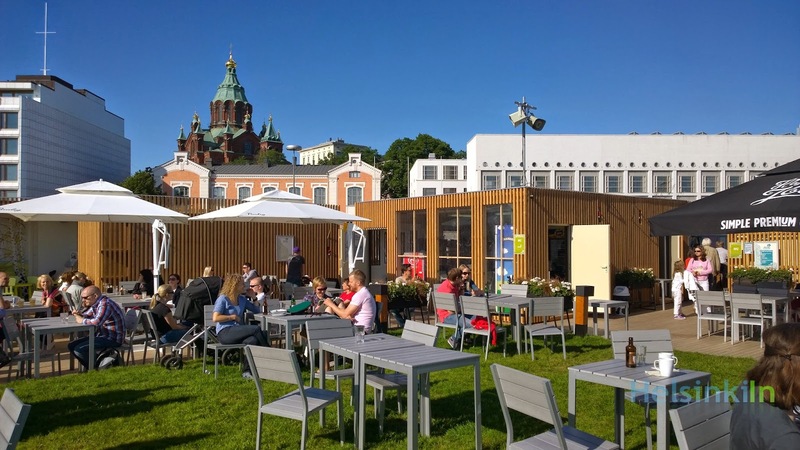 This year Allas is a pop-up where containers function as café and ice cream parlor. The terrace itself offers several grass areas with comfortable wooden chairs to sit down and enjoy drinks and snacks. From here you have a great view over Kauppatori, the ships in the harbor and some small islands. 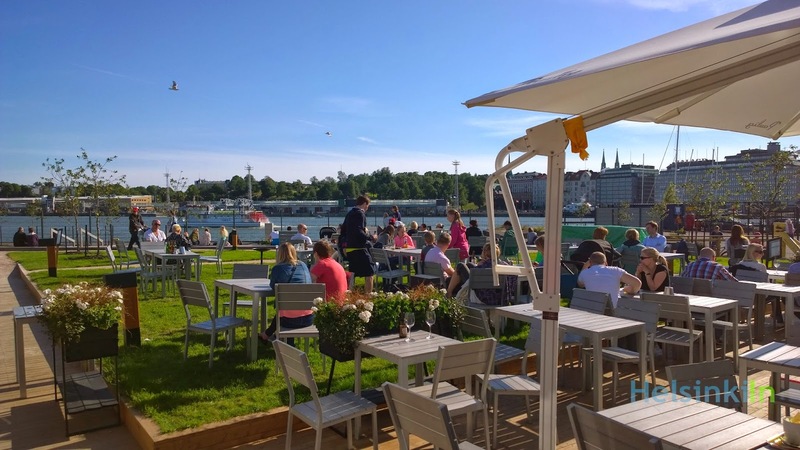 Watch the ferries to Stockholm leave while having a cold beer, wine or cider. You can already look forward to next year. During the fall and winter Allas will change into a permanent café and restaurant. Along with it a pool at the waterfront will be built. 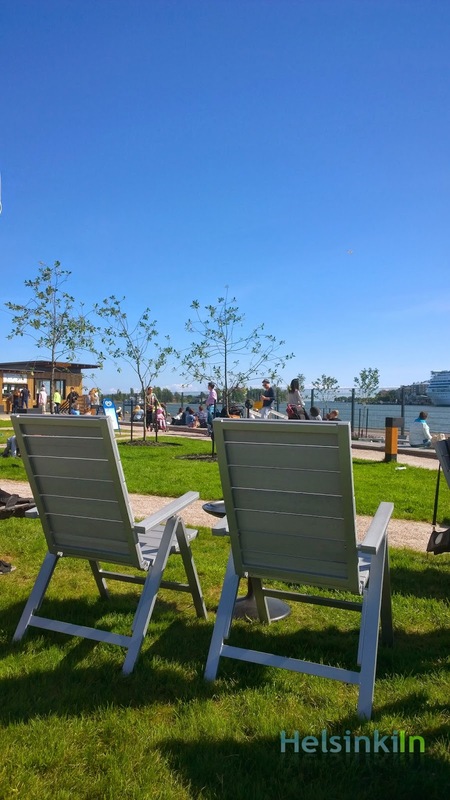 But for now enjoy the great beach club atmosphere at Allas (which btw means "pool" in Finnish) during the summer days. 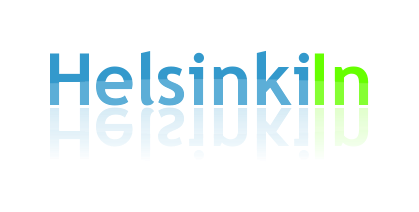 Allas is open daily from 9:00 to 24:00 and on Fridays and Saturdays even till 2:00.